HZS35 Concrete Batching Plant in Algeria (2)-Zhengzhou Zhenheng Construction Equipment Co., Ltd.
Our professionals complete the entire installation with the local workers in Algeria. Customers and we are proud of this successful cooperation. 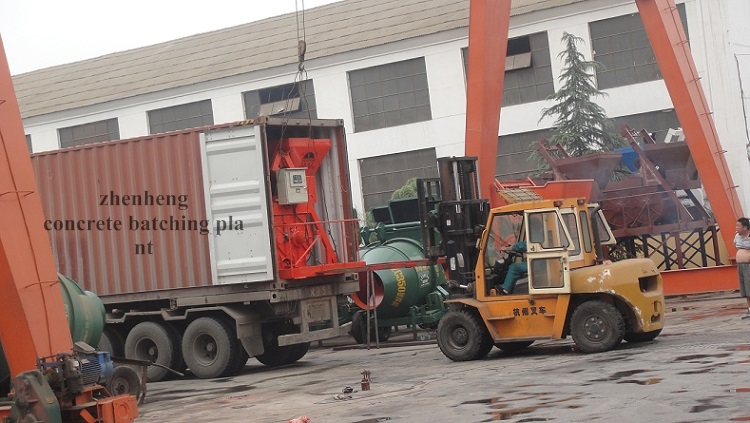 HZS35 concrete mixing plant is the small type product of HZS series in Zhenheng company, and it mainly includes JS750 type twin-shaft mixer, PLD1200 aggregate concrete batching machine which is suitable for small production of construction sites, preformed unit factories and commercial concrete.